The last decade of fast track technology has changed the way we live, with the repercussions having a much greater impact amongst children than anyone could have predicted. This Easter holidays is the perfect opportunity to take the time to -unplug' your kids and re-connect as a family, say experts. Australia's Physical Activity Recommendations suggest that children aged 5-18 accumulate no more than two hours of screen time per day and children under the age of two do not spend any time viewing TV or other electronic media. Child psychologist Nicole Pierotti says that the majority of children spend many more hours than this, sometimes up to 12 hours per day, with much school work being undertaken online, in addition to recreational screen time, which bumps up the exposure. 'Parents tell me they struggle to limit their child's screen time because they are so busy with housework and the daily routine. Children also find technology addictive and are always asking for more. Often it is easier to let one hour slip by into two and before you know it, your six year old has spent most of the morning plugged into their own world, cast adrift from the rhythm and communication of family life," says Nicole. While technology does have some benefits - improved visual-spatial capabilities, quicker reaction times and the capacity to identify details are some of the upsides to playing video games - researchers have found the downside is that technology conditions the brain to pay attention to information differently. 'The research clearly shows us that the damage that happens to our brain through technology overuse is actually the same brain area that is responsible for success in every other area of life - relationships, well-being, academic and career. Given our children are undergoing massive changes between puberty and the mid-twenties, we really do need to police the screen use and spread the word to other parents," says Nicole. Nicole is now encouraging families to pull the plug on technology this Easter and spend some one-on-one time as a family! 'Term time can often be hectic with school drop-offs, play-dates, sports and activities driving a busy schedule with little time to draw breath. The school holidays, even if it's just the Easter long weekend, can give the chance to enjoy a change of pace and connect with our kids," says Nicole Pierotti. Unplug – unplug or put time limits on screen time and include all devices to encourage other activities to help you connect as a family. Back to Basics - craft activities can be very therapeutic for children. Have pens and pencils on hand for creative writing, drawing and colouring-in. Easter is a great time for craft for young children. Make an Easter Bonnet, basket or decorate hard-boiled eggs. Day to day - involve children in what you are doing, putting away the groceries, or setting the dining table. Children love to be included in adult activities and it helps their confidence. Often when children and teenagers are engaged in a task, this is when they'll tell you what's going on for them. It's a chance to communicate and to bond. Chill-out time – unplugging from technology provides time to wind down. This includes playing a musical instrument, reading a real book, chatting to family and creative activities. Even a little bit of -boredom' can be a good thing – it allows time for creative thought. Mulling things over can spark children's imaginations and gives them a chance to get away from the external information overload that can happen in the external world and reconnect to their internal world. Fresh Air - playing tag, flying kites, running with a ball, or collecting pebbles on the beach. These are the activities many of us grew up with and yet today get lost with our busy schedules and reliance on technology. Children can benefit from spending time away from their screens and sedentary activities by becoming absorbed in a game or activity outdoors in the natural environment. Get Writing - sitting with your child and practising handwriting skills in a relaxed and supportive home environment during holiday time can help build their confidence. Encourage your child to have fun whilst writing by using different colours or decorating the page border. Erasable pens and markers such as the Pilot Pen Frixion range are popular because children can easily rub out any mistakes without having to start all over again. 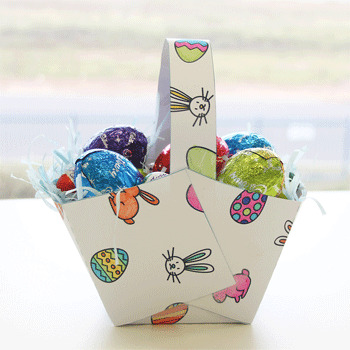 For some fabulous Easter craft activities to download, check out the Pilot Pen website: www.pilotpen.com.au. Nicole Pierotti is a child psychologist and parenting expert. For further information, visit: www.babysmiles.com.au.